I'll admit it--I spend more time than I should on social media. I don't do Twitter because I just don't get it--always feel like I have interrupted an ongoing conversation. Facebook? I only have an account because my blog posts automatically post and some of my friends read the posts via FB. Other than that, I would probably cancel. But Instagram. Ah, Instagram. That is my social media platform of choice. 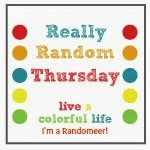 I have read several times about the loss of blog readership and blog posts due to Instagram and I have to admit that IG is fabulous for the very reason that you can post a picture, ask a question, and get a lot of immediate feedback. Easy and quick. Someone likened it to walking down the street and just waving at your friends and saying hi as you pass by, and blogging as stopping in for an actual chat. 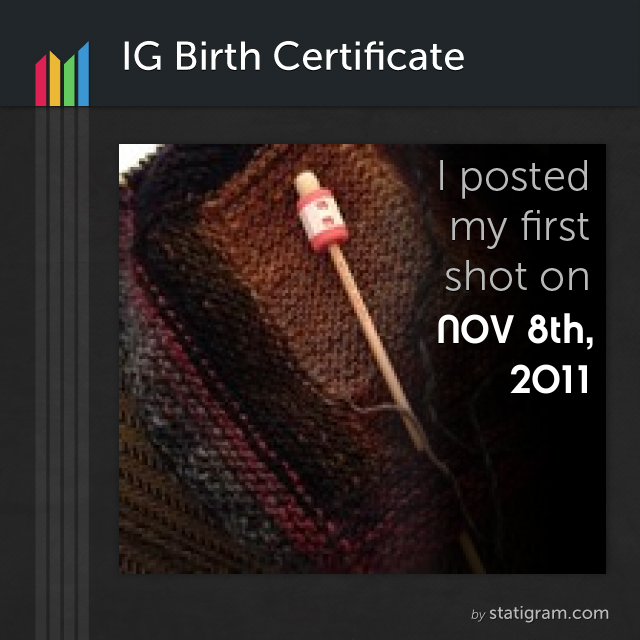 When I saw the short videos a lot of IGers were posting at the beginning of the year via Statigr.am, I was intrigued. 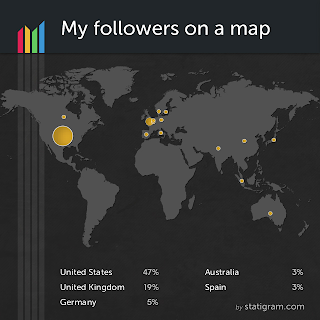 Last week, Statigr.am sent out some analytics that were a lot of fun. The first picture I posted (I'm amused that they call it a birth certificate). 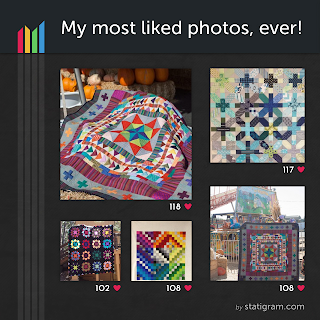 And it was interesting to notice that the first picture involved knitting, not quilting! The first person I followed, and she followed me back. Hi, Christina Lane! And one of my favorite stats, where everyone is from! I have no idea...blogging is my only social media. BTW...If my grandson were to ask me in 10 years to go on the upside rollar-coaster I'd go too...I'd literally cry!!! LOL but i'd go! Nope, I do not Instagram. Don't know too much about it. 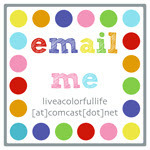 I am not sure if it would be any easier for me, as my phone does not internet well. 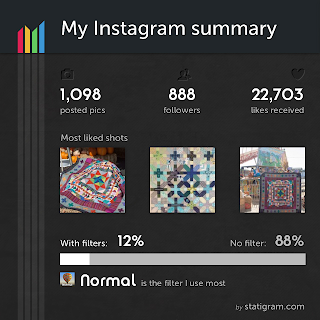 I like Instagram too, but I'm more of a stop-and-chat kind of person. 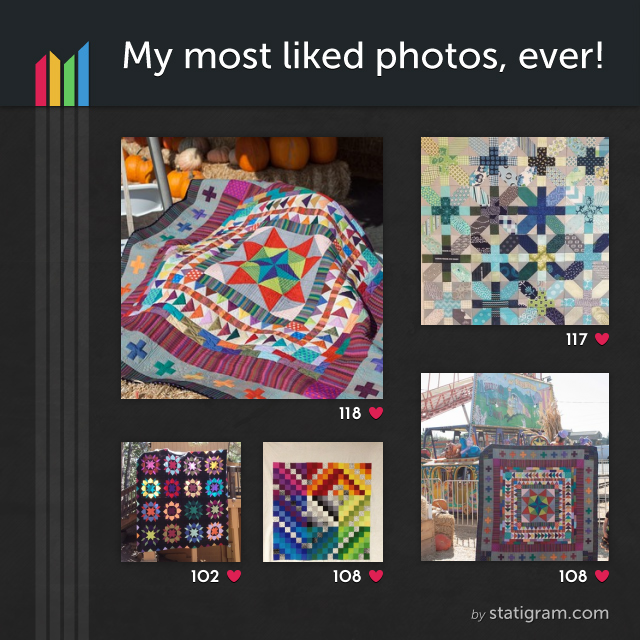 I am a bloggy kind of quilter. But I feel like I am missing out on a great party over there! 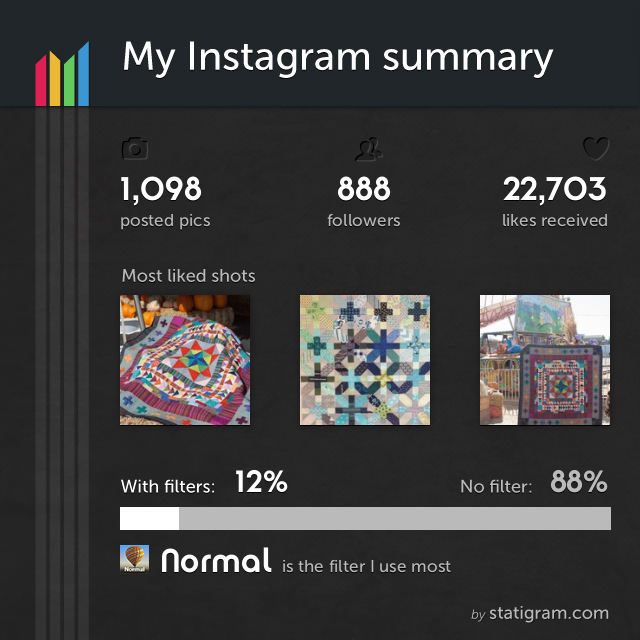 I agree with the fun of IG and the loss of blog readership. I am on Instagram and I do like it but I can see hours of my life disappearing down a black Instagram hole so I don't post too often! I too am a recent convert to Instagram. I tend to post different types of photos on IG but keep my blog for my sewing. But I do love the immediacy of IG! 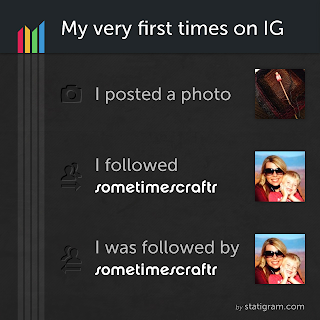 I just signed up for IG today. I don't know too much about it. I need to tutorial, I think to help me out. I had thought it was much like a Pinterest account but my daughter mentioned that my thinking was off. I hope to get up to speed on the process. 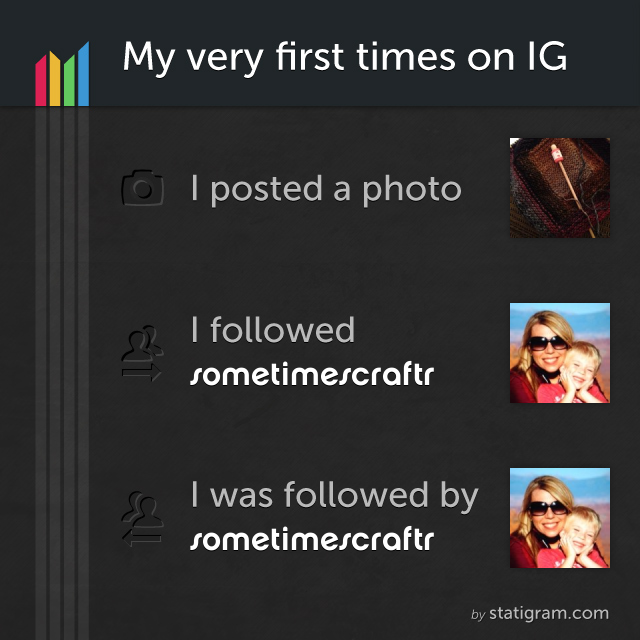 Yes, I just joined Instagram this year and I follow you. You can follow me too at sarahkrothe and see what I'm making. I lie seeing all the creativity out there, but I still love blogs more coz that's where I get to know people better. I just don't have time to write one and so joined IG so I can share my making and life with you all there. Funny thing I heard on TV recently, was that the continual checking of facebook, twitter and instagram is as mad as keep opening your front door to see if anyone is there!